ShopRite is my favorite grocery store. They always have great sales and I never have a problem finding what I need. Their best sale of the year though is their Can Can Sale. I look forward to this because I can really stock up my pantry. Last year for the 40th year of the Can Can Sale ShopRite donated 40,000 cans of food to local food Pantries. This year is the 41st year of the Can Can Sale and Shop Rite has made it extra special this year.They have a new facebook program called "Cans for Fans" which gives all of you an oppoortunity to help in the fight against hunger. For every facebook fan they get up to 50,000 they will donate one can of food to local foodbanks in the area. 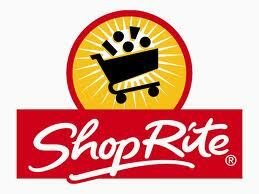 Here is the link for ShopRite's facebook page. Just go to it and click like. The more likes they get the more cans of food that will be donated. This information was provided to me by ShopRite through MyBlogSpark.